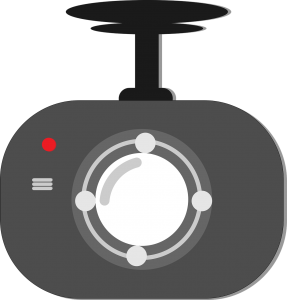 Dash cams – have you thought about the GDPR implications? Irish media in recent days has been reporting on the move by Axa to give a discount on their insurance to motorists who are prepared to use a dash cam in their car, as part of a plan to reduce fraudulent injury claims. With the use of a dash cam likely to protect a motorist’s no-claims discount after a non-fault collision, it’s hard to see a flaw in this plan. After all, who can argue with the improved driving habits that would be anticipated, resulting in safer motoring, and fewer fraudulent claims being made – surely it’s a win-win for all sides. However, with GDPR in force just under 6 months have you considered the information a dash cam and other ‘in car systems’ in modern cars, can provide to others about you? Have you given consent to the storage and processing of your data on such things as the routes you travel, whether you obey the speed limit (or not! ), and your texts, calls and messages that are channelled through your in car Bluetooth system? The technology in many cars links in directly with call centres – ideal if in an emergency situation, but does this also mean your private conversations in the car might never be actually private? How does this sit with you, especially when you consider that there is no current legal framework at an Irish or European level regulating the protection of data collected from vehicles? And what happens when this personal data is collected by an employer? Any company car using vehicle telematics will collect data about the employee using the vehicle. The driver’s right to privacy must be balanced against the legitimate rights of an employer to operate its business. While issues around GPS and tracking system use in company cars are often considered there is less discussion what data compliance concerns arise if an employee syncs their mobile phone to a company car’s infotainment systems. Navigating legislation that governs the use of data, can seem like a minefield. At MHP we help smooth the way forward, working with clients and companies to ensure compliance with data protection law. If you have any concerns or questions in relation to your data, as an individual, employee or employer, contact us at MHP Solicitors.